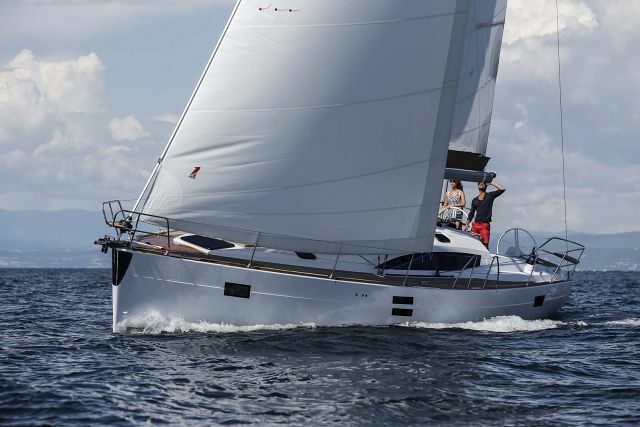 The Impression 40 by Elan Yachts is an impressive sailing yacht, designed to satisfy even the most demanding of cruising aficionados who really appreciate her distinctive design, style and comfort. 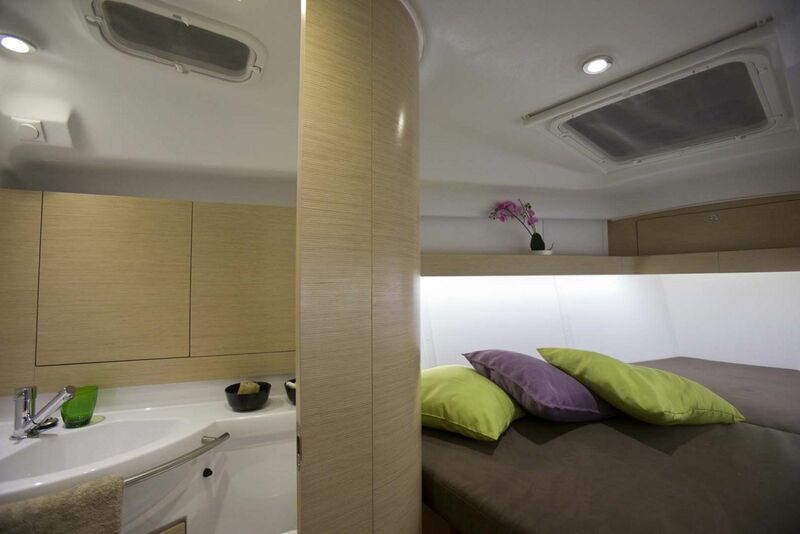 The salon on deck is welcoming and provides abundant natural light through the panoramic windows. 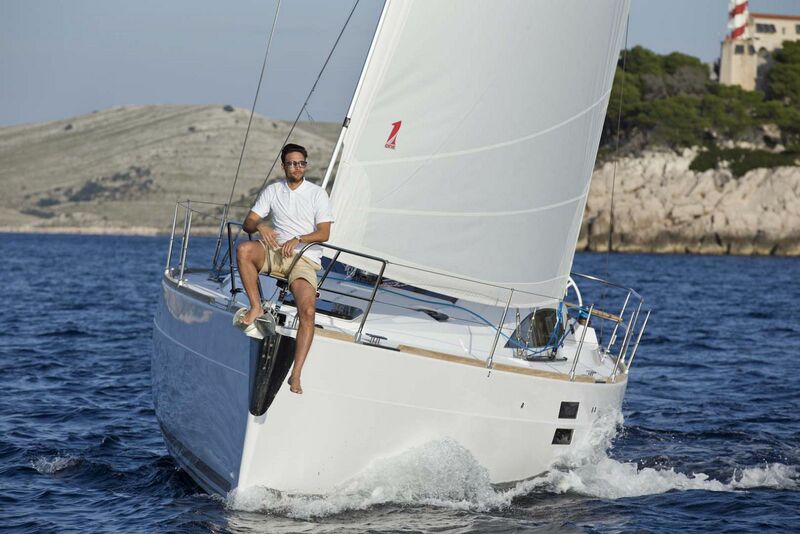 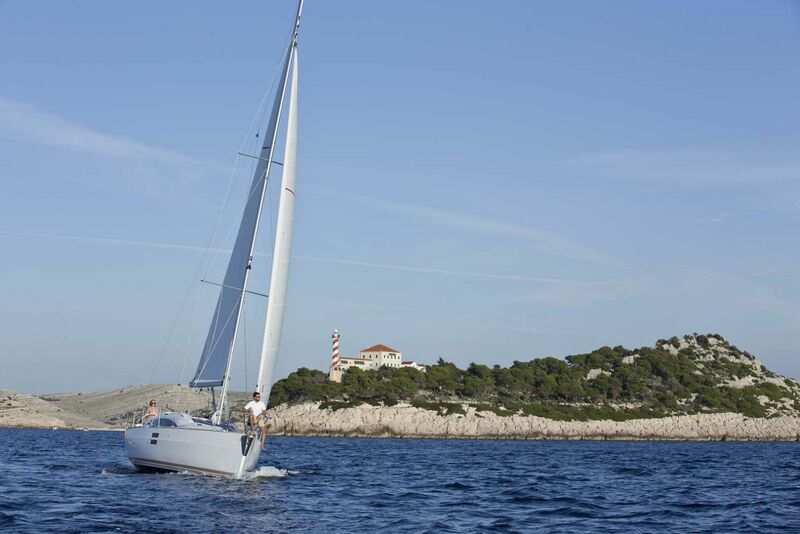 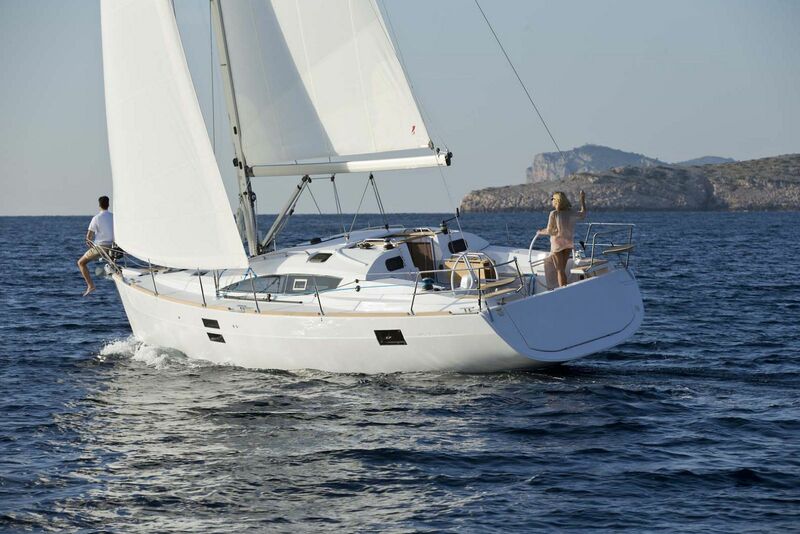 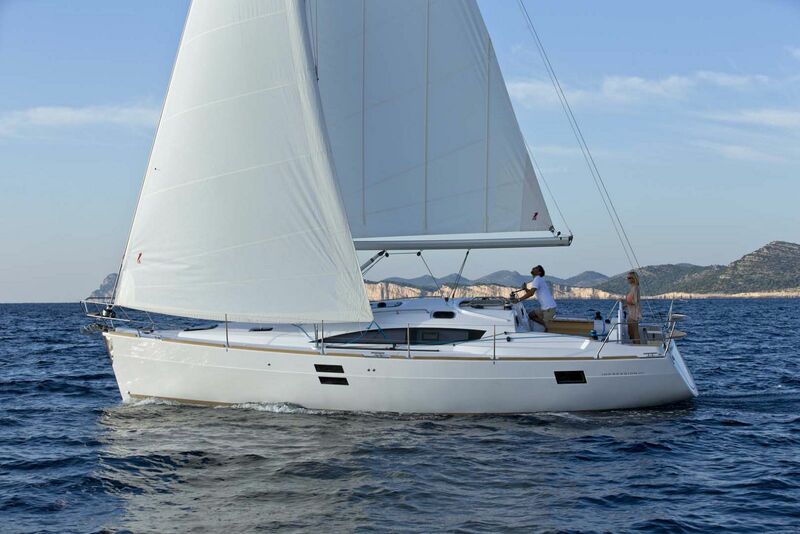 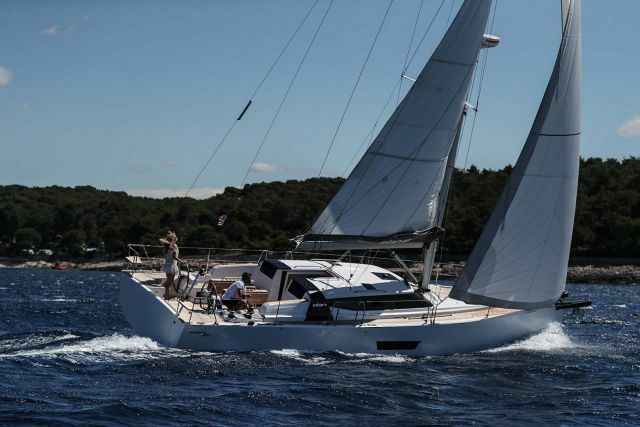 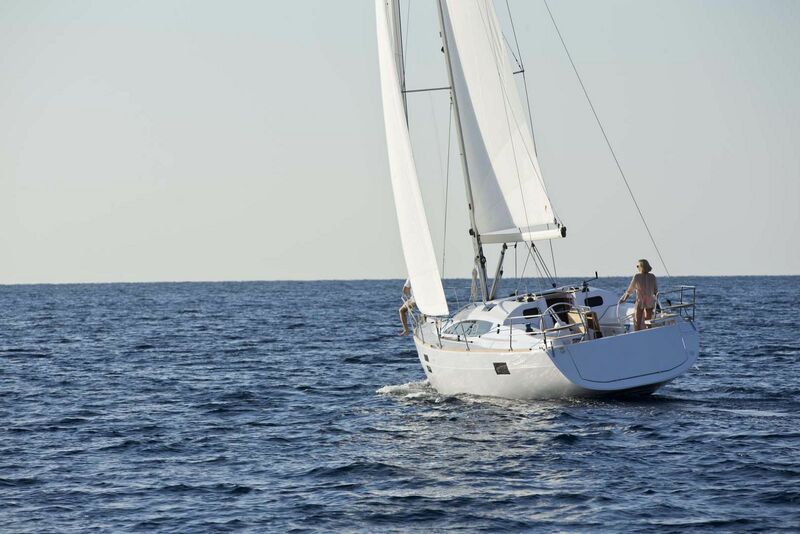 The Elan Impression 40 offers exceptional interior volume and quality fit and finish combined with safe and easy handling while under sail for an unforgettable sailing experience. 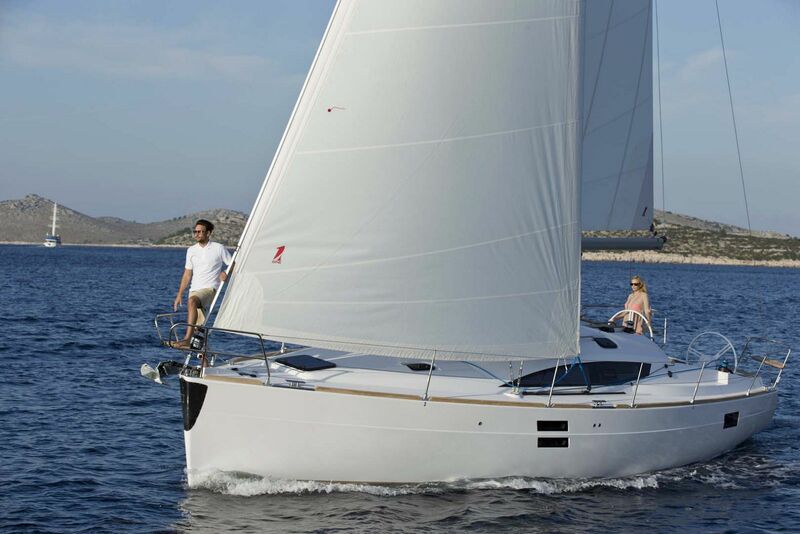 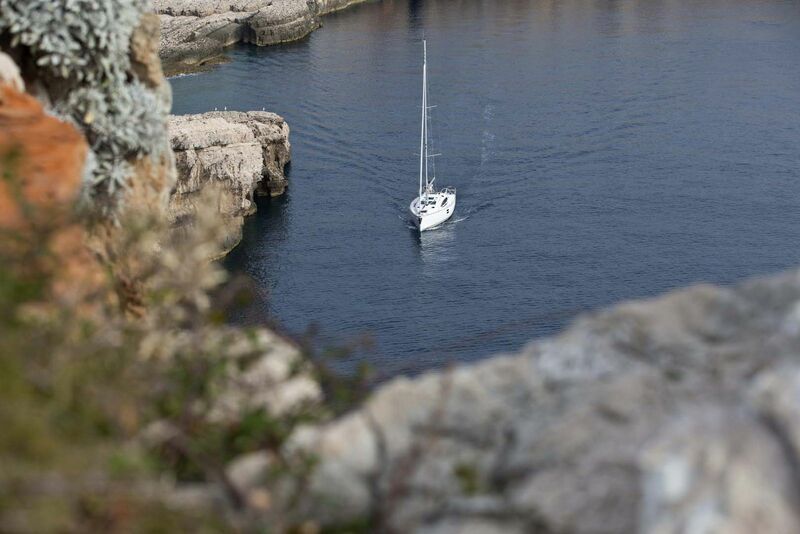 Everything aboard the Elan I40 is well-thought out, whether under sail cruising or when reveling in picturesque secluded bays at anchor. 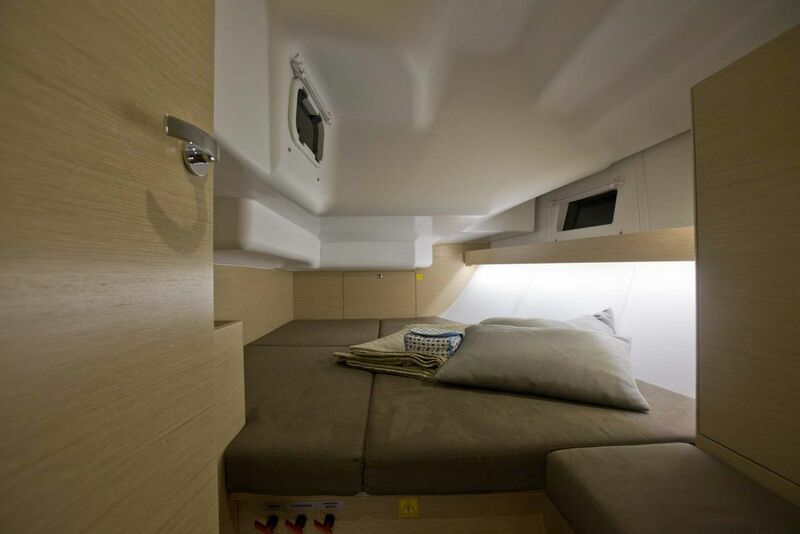 The cockpit is spacious with large, protected sitting areas and a cockpit table that provides superior comfort for crew and visitors. 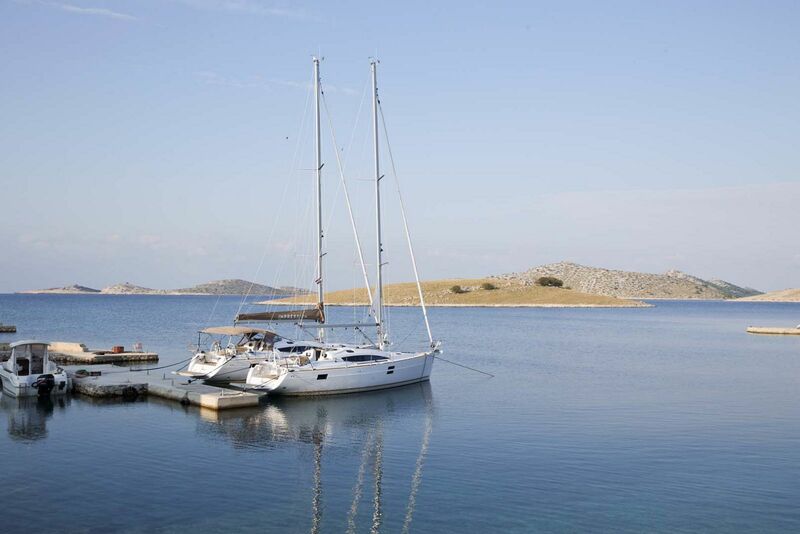 There is a large sunbathing deck placed forward that anyone looking to relax in the sun will thoroughly enjoy. 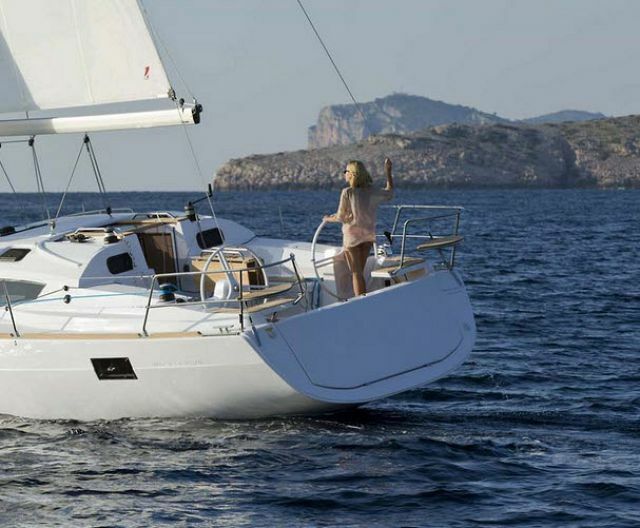 The twin steering wheel arrangement offers an ideal position for the captain, while the wide transom and bathing platform ensure easy access into the water. 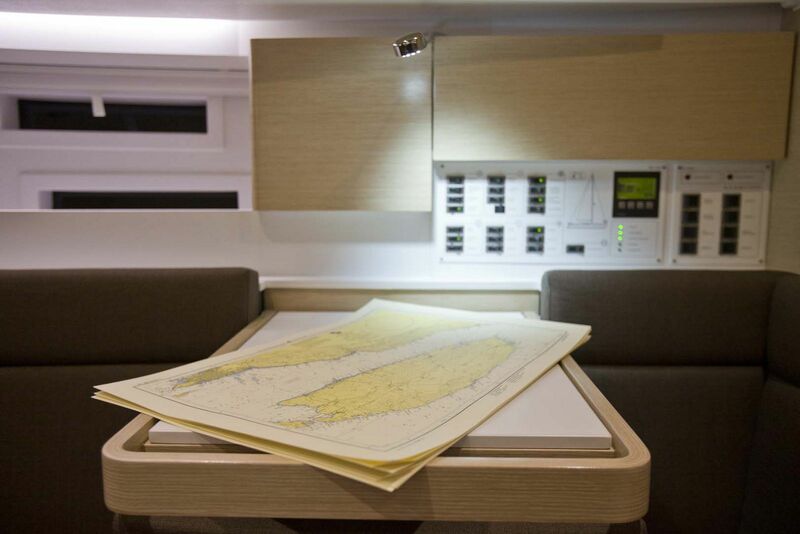 The interior is open and light with due to the hull windows in the salon which also provide excellent views when underway. 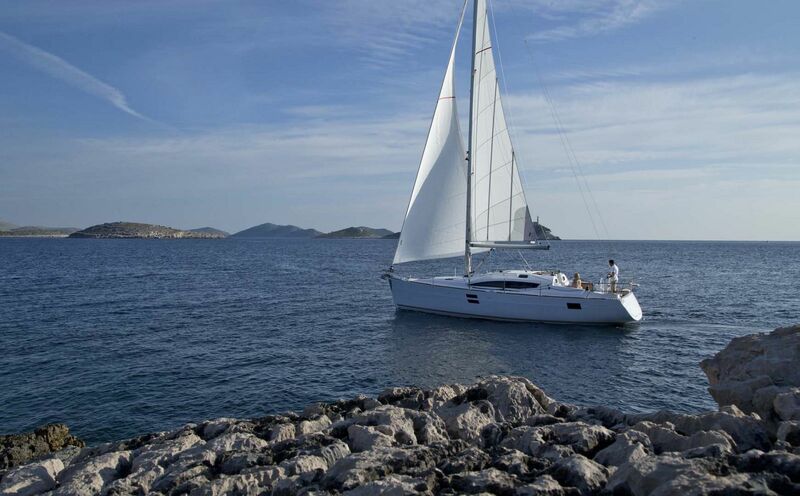 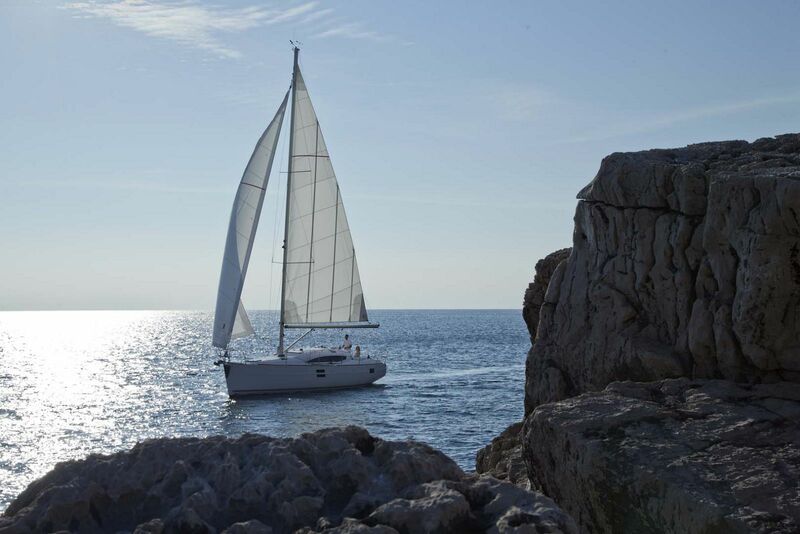 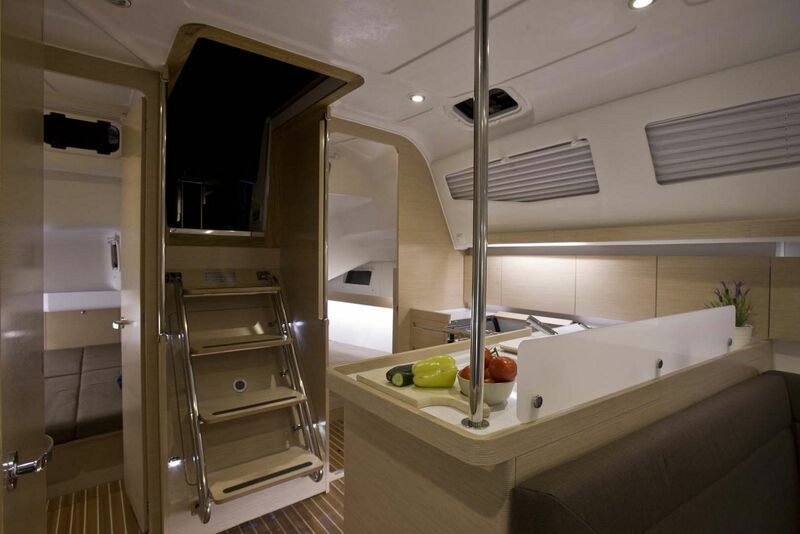 With her contemporary design the interior offers quality and comfort superior to her class. 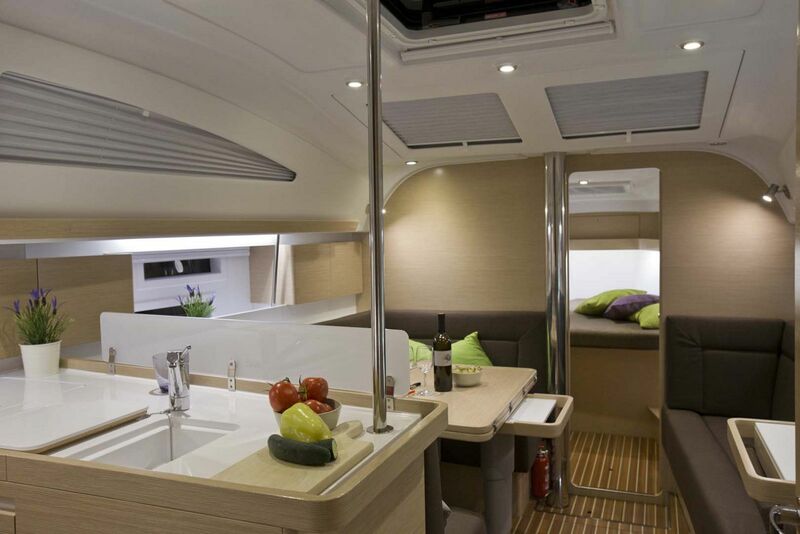 The salon features a large settee to starboard and another on the port side, with a generous L-shaped galley to satisfy even the most demanding chefs. 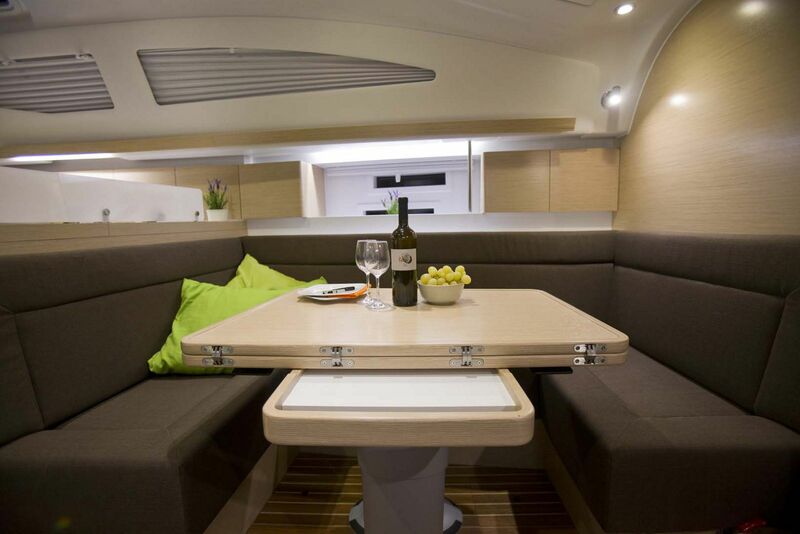 The Elan Impression 40 benefits from the unique flip-up chart table thus allowing full access to the settee berth when not in use. 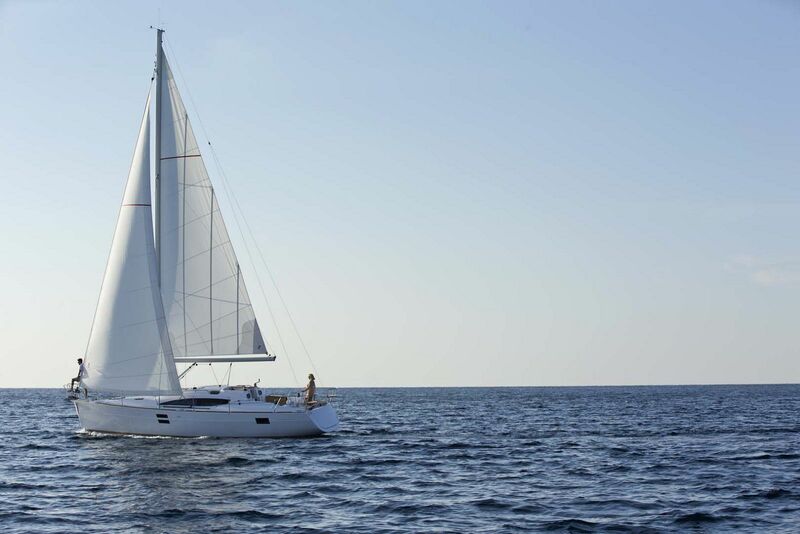 Accommodation onboard the Impression 40 is exceptionally comfortable with spacious cabins fore and aft, with four interior layout options to choose from. 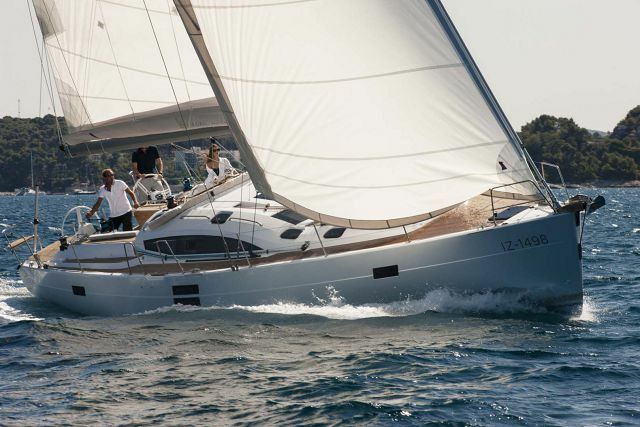 If you would like to learn more about the Elan Yachts Impression 40, please contact your Seattle Yachts Sales Professional today. 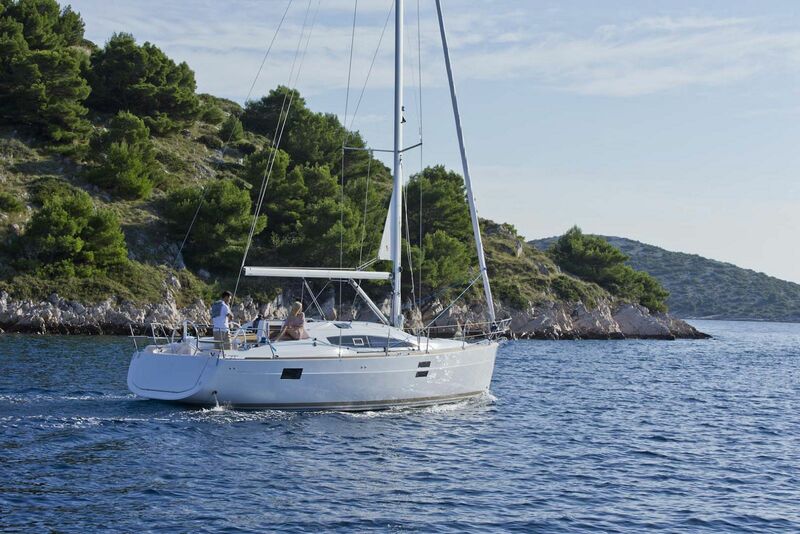 Fuel Tank Capacity: 38 Gal. Water Tank Capacity: 137 Gal. 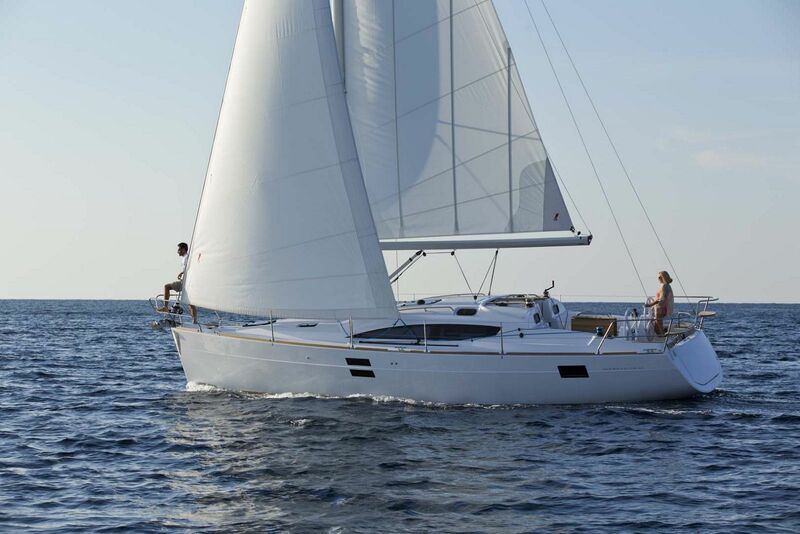 The Impression 40, a most impressive sailing yacht is designed to satisfy even the most demanding cruising families, friends and couples.